Lord, today we pray for Alcacuz prison in northeast Brazil, where inmates have rioted for a week. We are disgusted to hear of not only the violence, but the level of violence, which led to 26 deaths. We are thankful that the complex is now under control, but know this is tentative, especially since so many inmates acquired weapons in the chaos. We ask your protection for the police and prison staff as they seek to maintain control in this place. We also pray for those prisoners who do not want to participate in the gang violence and disruption. Bless their efforts as peacemakers and peacekeepers, and keep them from harm. 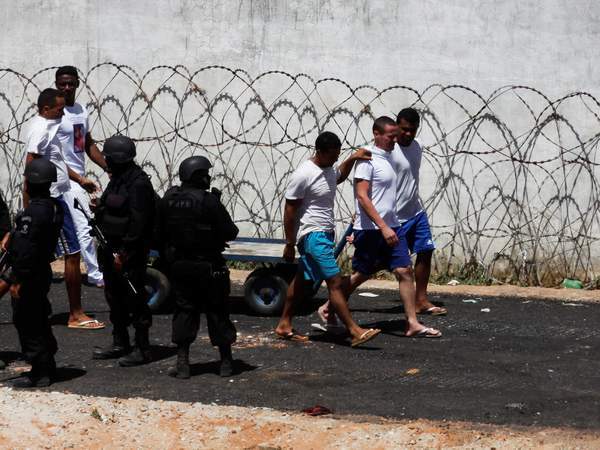 Lord, we pray for the larger issue of overcrowding and understaffing in Brazilian prisons. We pray for this nation to improve its penal system so these types of riots will become rarer as the months and years pass. In Jesus’ name we pray, amen.